That in most places where you can write a profile name, you can click the icon to the right to get your own name filled in. Some of the features on Project-GC are available for paying members only. Paid memberships costs from 16 EUR per year. Payments in USD and SEK are also accepted. There are several reasons why paid memberships are introduced. One of them being that we can develop features requiring a lot more resources when it's not accessible for everyone. Some of them will for example require us to track a lot more data, which wouldn't be feasible to do for everyone. The income will also cover the costs of hardware and hosting of the site. There are no plans to remove any content that are currently available to everyone and make it available to paying members only. However, many new things might exist for paying members only. All former donors have been rewarded for their help with membership time. Read more further below of what you get if you become a paying member, besides helping the site out. You currently do not have an active paid membership with Project-GC. We are currently only accepting payments via PayPal. There are no plans to add other payment providers in the near future. Not logged in You need to authenticate to be able to purchase a membership. Project-GC is more or less a one-man project, there are therefore no guarantees that bugs will be fixed within a certain time frame, neither can we promise any deadlines to new features. Project-GC will not be guaranteed to have a certain uptime, we can only guarantee that it is in our interest to keep it up and available as much as possible. Project-GC is a partner to Groundspeak and we use their Geocahing Live API to access their data. 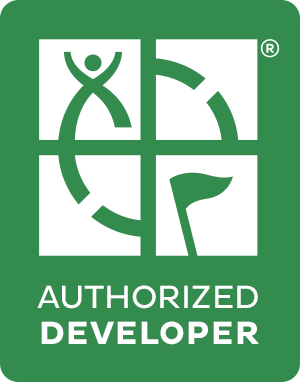 The site is build in accordance with the Geocaching.com API License Agreement and therefore your data is protected by Groundspeak. If Groundspeak for any reason decides to stop the partnership between them and Project-GC, there will be no refunds to any users of the site. Generally there will be no refunds made to unsatisfied customers who did not like what they got for their membership fee. Everything is under development and some things will be broken from time to time. If you are unsure, activate a trial membership first. We do however aim to make our customers satisfied. Multi Map Compare - Compare finds on a map between more than two geocachers. Stat Compare - Compare basic statistics with other geocachers. You can compare with many profiles at once. Custom Filters - Build advanced filters and save them for later use. Not 100% done yet. Map Regions - A map-tool to help you find caches in new regions. Map Counties - A map-tool to help you find caches in new counties. Profile Stats - Lab caches - Lab caches included in Profile statistics where applicable. Profile Stats - Settings - Enable/Disable modules manually. Route Builder - Build routes for use in filters. Virtual GPS - Add caches to your Virtual GPS and build GPX's. Think about it as a shopping cart for caches. Building GPX files also requires a premium membership with Geocaching.com. Profile Stats - Daily refresh - The Profile stats are generated weekly for non paying members. With an upgraded account they will be updated daily. Profile Stats - Custom cache lists - Create custom cache lists, either for finds or hides in your Profile Stats. Solved Mysteries - Plot a map with all the caches you have saved final coordinates for on Geocaching.com. Requires that you have the coordinates in the Personal cache note field at Geocaching.com. My Finds GPX - Automatically generated My Finds GPX files that you can download. Premium membership with Geocaching.com required as well. Event Notifiers - Advanced notifiers for events, where you can filter on number of Will attend, location data and distance. Edited logs Notifiers - Receive a daily email with all the logs on geocaches that you own that Project-GC has detected as edited. FP Notifiers - Receive a daily email telling you who has added or removed favorite points from your geocaches. Log images Notifiers - Receive a daily email when Project-GC has detected that new images has been uploaded to geocaches that you own. Besides that you actually will see the photos, it's also a great way to avoid spoilers of your hides. Additionally Project-GC will inform you if the images are geo tagged by showing the coordinates inside the image, together with the distance to the hide itself. Friends - Add friends to easier see them in top lists or to check out what they have logged recently. The later part is under development and still not available. Top Found Percent - Who has found the highest percent geocaches in a certain area? Challenge checker map - Access to a map that shows the challenge caches in the world, and also shows which of them has checkers at Project-GC. Discover trackables - Prioritized in the job queue for batch discovering trackables. Live map - More live filters available. Dashboard - Advanced search - Make advanced searches based on our fulltext indexing, including searching geocache logs. Corrected coordinates - Toggle between plotted and corrected coordinates on the maps. Auto-challenge-checkers - Challenge checkers are automatically processed in the background to see which challenges you fulfill. You will then see your checker results on any map that shows a challenge cache. If a challenge cache uses our advanced checker-image in its cache description you will also be able to see your checker result without even visiting Project-GC. Run more challenge checkers - Non paying users are only allowed to run 10 challenge checkers per day. As a paying member there is no limit. Additional filters - There are a few filters only available to paying members, for example the loop filter and the cache name filter. Multi country/region/county-select in filters - Select any amount of countries/regions/counties at once in the filter system. Quick search - Quick search function in the menu bar, to faster find the right page. Less filter requirements - Most top lists have filter requirements due to performance reasons. Most of these has been removed for subscribers. No ads - An ad-free site. Specially great for those with very small monitors (low resolution) where the right ad unit might be in the way sometimes. Some of the above functions mention that they require a premium membership at Geocaching.com. We reserve the rights to require this for other functions as well. This may or may not be upon request from Groundspeak.